And chewed. And drank. And slurped. And blew bubbles with. They're all here! 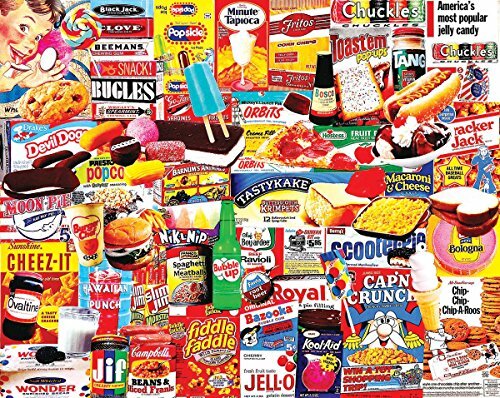 Causing sugar overload and making us hungry for more, the Things I Ate As A Kid Jigsaw Puzzle is a colorful jumble of goodies assembled by Charlie Girard for a 1000-piece puzzle. Thrill the entire family with fun and entertainment everyone can enjoy! This exceptional piece is the inspiration of Charlie Girard, the creator of fantastic, fun, and unique collage puzzles, who has become one of White Mountain Puzzles’ most popular puzzle designers ever with his seemingly endless supply of ideas and creativity. 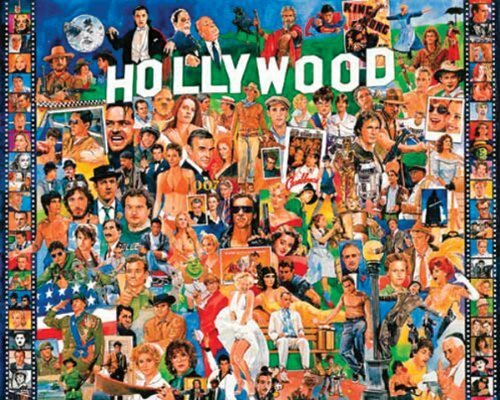 Art jigsaw puzzles are a fun and inexpensive way to enjoy beautiful works of art first hand! Jigsaw puzzles are also used to boost cognitive skills; develop hand-eye coordination, fine motor skills, problem solving, shape recognition, memory, and task completion. The White Mountain Puzzles – Things I Ate As A Kid includes 1000 unique interlocking pieces made of sturdy blue chipboard on recycled paper. Extra large sized pieces for easy handling. Completed puzzle dimensions: 24 x 30 inches. Every White Mountain Puzzle is proudly manufactured in America with a 100% customer satisfaction guarantee. 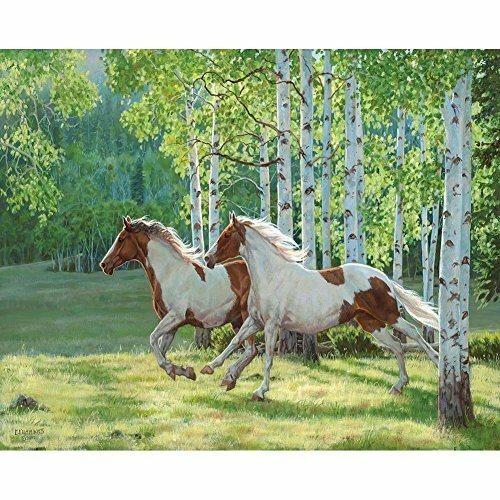 A most challenging jigsaw puzzle, the White Mountain Puzzles – Pencil Collage is 1,000 pieces worthy of any skilled puzzler. A great test for the puzzler fanatic to enjoy! Captivate friends and family with fun and entertainment everyone can enjoy! 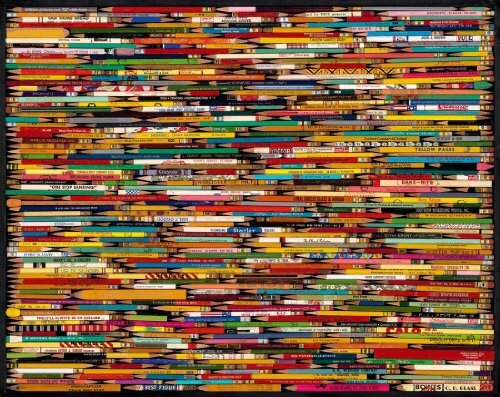 This incredible collection of advertising pencils was created by artist Maureen Rupprecht, who literally glued hundreds of pencils into a frame. Talk about a challenge! 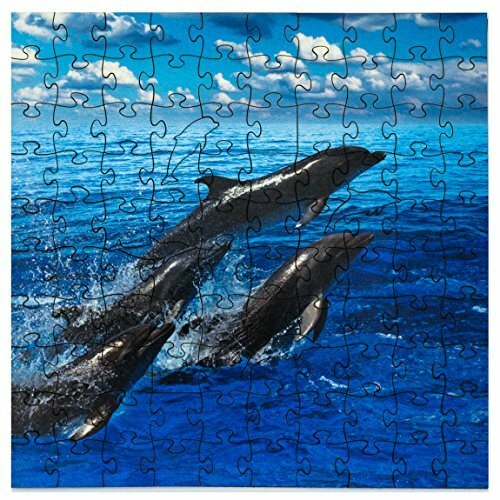 Art jigsaw puzzles are a fun and inexpensive way to enjoy beautiful works of art first hand! Jigsaw puzzles are also used to boost cognitive skills; develop hand-eye coordination, fine motor skills, problem solving, shape recognition, memory, and task completion. The White Mountain Puzzles – Pencil Collage includes 1,000 unique interlocking pieces made of sturdy blue chipboard on recycled paper. Extra large sized pieces for easy handling. Completed puzzle dimensions: 24 x 30 inches. Every White Mountain Puzzle is proudly manufactured in America with a 100% customer satisfaction guarantee. Santa & reindeer have landed safely on the snowy roof and the jolly man makes his way to one of three chimneys. Just below, a child is "nestled all snug" in bed while the family stockings hang on the nearby mantelpiece. Next door is the nursery and further on is the master bedroom where Dad is pulling out gifts hidden beneath the bed. The first floor of the house is a hive of activity! Mom puts the finishing touches on Christmas dinner while grandparents ready the living room with its magnificent tree, festive garlands and blazing fire in the hearth. 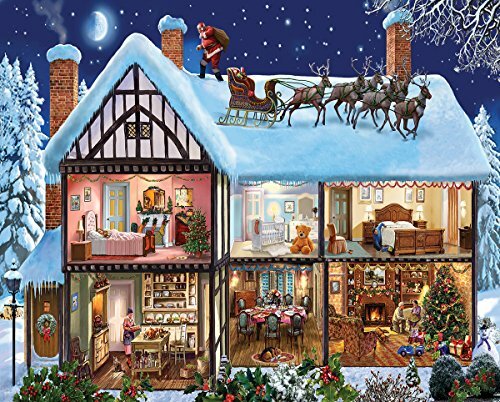 Thrill the entire family and enrich your holiday celebration by bringing home the White Mountain Puzzles – Christmas House Jigsaw Puzzle, one of our nicest Christmas puzzles ever! 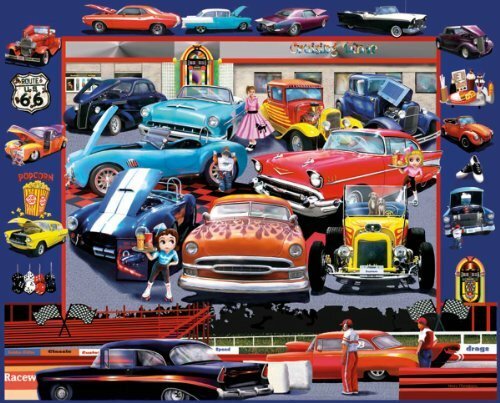 1,000 pieces of fun and entertainment everyone can enjoy! Putting together this unique piece can become a new family Christmas tradition or a colorful addition to your Christmas decorations. Get a glimpse into small town family life with this welcoming house, painted in meticulous detail by the English artist Steve Crisp. Internationally known as an award-winning artist, illustrator and photographer, Steve has become hugely popular with White Mountain Puzzlers for his nostalgic depictions of village life in the English countryside, pre-Boots Chemists and other chain stores. 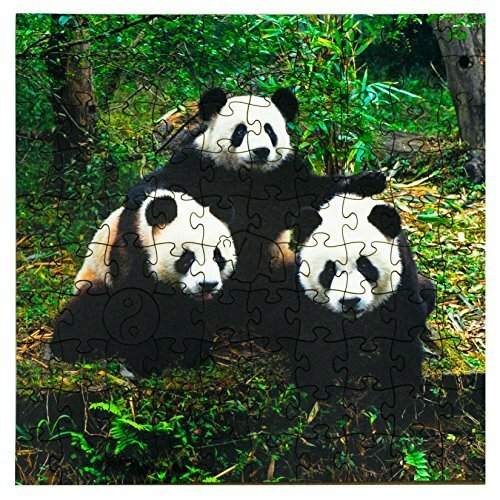 Art jigsaw puzzles are a fun and inexpensive way to enjoy beautiful works of art first hand. Jigsaw puzzles are also used to boost cognitive skills; develop hand-eye coordination, fine motor skills, problem solving, shape recognition, memory, and task completion. The White Mountain Puzzles – Christmas House includes 1000 unique interlocking pieces made of sturdy blue chipboard on recycled paper. Extra large sized pieces for easy handling. Completed puzzle dimensions: 24 x 30 inches. Every White Mountain Puzzle is proudly manufactured in America with a 100% customer satisfaction guarantee. What Makes Our Puzzles Different? Our Mosaic Puzzles by Zen Art & Design is a new line of designs created to please the most discerning puzzle enthusiast but at a price point for all to enjoy. The pieces are made of Birch harvested responsibly from sustainable forests here in the USA. Our rich, vibrant images are produced as a Giclee (pronounced zhee-clay) print, and mounted onto the pressed wood. Next we laser cut the puzzle to produce intricate cuts and clever designs, including our fun shaped Whimsies. Perfect for the lake house for rainy afternoons or chilly evenings. They know the quality and durability of our puzzles will allow them to be built time and time again without fraying edges and bent tabs. Great for the mind and soul Lastly, our puzzles are a perfect gift for seniors. It is an activity from their past that they can still enjoy today. Also, it keeps their mind focused and sharp, whether they like to work on puzzles solo or with friends and family. We know you will get so much enjoyment from one of our puzzles, and you will be captivated by the unique challenges each one presents. Purchase one today knowing our guarantee is there if you are anything but thrilled with these quality puzzle works of art.